This is the second of 10 workouts in our Kettlebell Workouts for Men series. The workout is a 20-minute AMRAP, which stands for “As Many Rounds As Possible”. The workout is designed to build strength, stamina, and endurance as well as prepare you for more advanced kettlebell workouts later in the series. Perform 10 reps of each exercise to complete one round. Perform as many rounds as you can in 20 minutes, resting as needed. You will need two kettlebells of equal weight. Some of the exercises will use one kettlebell, and some exercises will use both kettlebells. • Hinge at the hips to grab onto the handle with one hand while maintaining a neutral spine. Set the shoulders down and away from the ears to engage the lats and upper back. • Swing the kettlebell back between your legs, then powerfully extend your hips by driving the floor away and contracting your glutes and abs. Let the kettlebell float to shoulder height. • Let the kettlebell drop back down along the same path, only flexing at the hips once the arms reach your waist. • Perform all reps on one arm before switching to the other side. • Stand upright holding both kettlebells in rack position with each hand fully inserted through the bell handle and kettlebells at shoulder height. Palms face in and elbows are tucked against the body. • Dip slightly through the hips and knees, then quickly extend the hips and knees and then both arms, which will thrust the kettlebells overhead. The momentum from the lower body should transfer to the arms, and thus to the kettlebell. • Lower the kettlebells back to rack position. • Stand upright with your feet about hip-width apart holding the horns of the kettlebell handle in each hand at chest height. • Squat down, flexing at the hips and knees while maintaining an upright, neutral spine. • Lower down to where your thighs are at least parallel with the floor, and your elbows tap the inside of your knees. • Push into your heels, contracting the glutes, and return to standing position. • Stand with feet slightly less than hip-width apart and a kettlebell on either side of your feet. • Hinge at the hips, bending the knees slightly, and grab a kettlebell in each hand. • Keep a neutral spine as you squeeze the shoulder blades together and pull the kettlebells up using the upper back and lats. Think of drawing the elbows toward the belly button. • Lower the kettlebells back to the floor and pause briefly before completing the next repetition. • Swing the kettlebell back between your legs, then powerfully extend your hips by driving the floor away and contracting your glutes and abs. As the kettlebell reaches the float point (just below shoulder height), pull the kettlebell in toward the chest. • Guide the kettlebell back down along the same path, straightening your arm and flexing at the hips once the arm comes into the waist. • Perform all reps on one side, then switch sides. • Keep a neutral spine as you extend your hips to come to a fully upright position, pushing the floor away and contracting the glutes. • Push the hips back into a hinge as you lower the kettlebells back to the floor, pausing briefly before completing the next repetition. Perform this workout 2-3 times per week for optimal results. Incorporating kettlebells into your daily workouts will not only help you build strength and endurance but can also aid in weight loss. 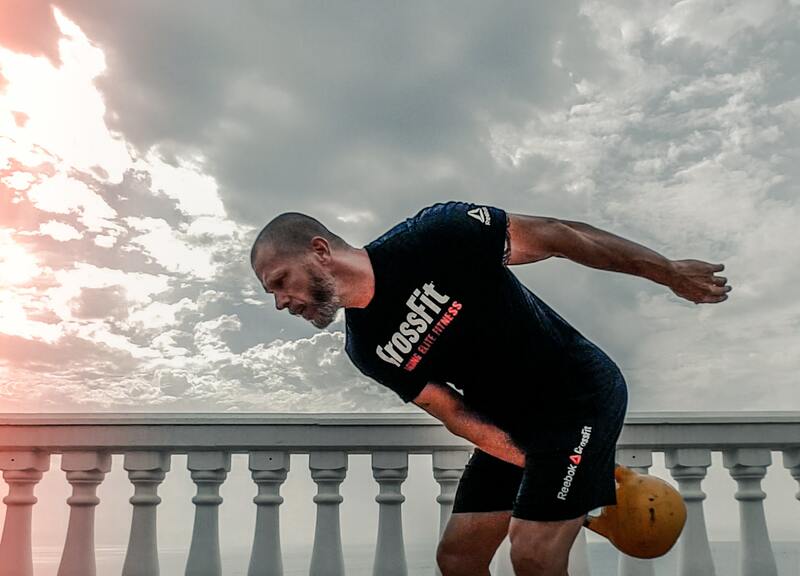 Keep checking our blog for Part 3 of our 10-part Kettlebell Workouts for Men series. Kettlebell Kings is a premium-quality kettlebell and kettlebell content provider, based in Austin, Texas. You can view our equipment, kettlebell how-to’s, and get expert advice at https://www.kettlebellkings.com and https://blog.kettlebellkings.com.